Combine the flour, baking soda and salt in another bowl and mix. Then mix the dry ingredients into the wet until they are just incorporated. 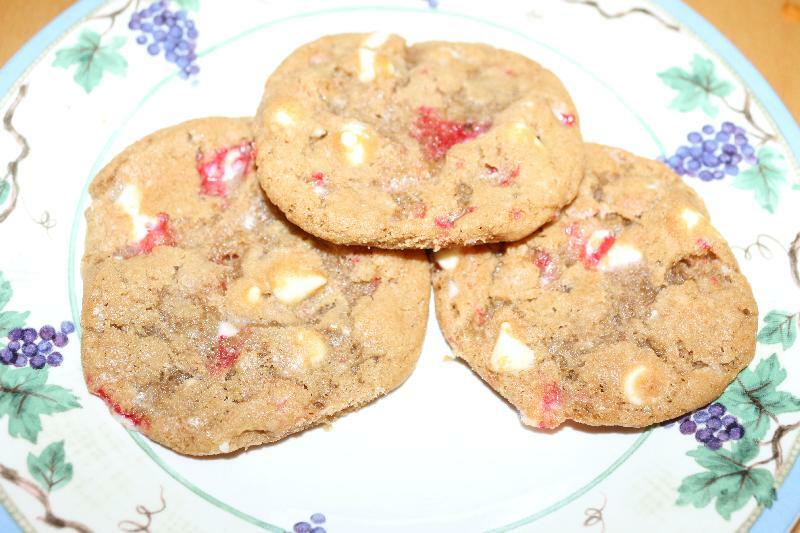 Next mix in the chocolate and the peppermint candy cane. Then chill the dough in the fridge for 30-60 minutes before placing it onto a parchment paper lined cookie sheet one table spoon at a time rolled up into balls (I used a cookie scoop). Bake the cookies in a 350F preheated oven until just lightly golden brown around the edges, about 8-10 minutes.